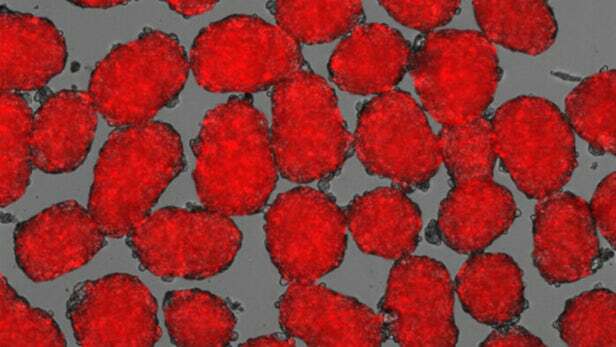 So scientists are about to cure diabetes using iPS cells. But they still can’t grow a single terminal hair. Someone might jump into conclusion that to regrow a single terminal hair is more difficult than to cure diabetes or cancer. That is why I have said that we need new scientists in this field. Because current crop of them frankly are just stuck in decades obsolete mentality. I think as far as iPS cells go researchers are hip to its’ potential to treat hair loss. I think that the problem is that iPS cells are still considered potentially dangerous so most scientists are being cautious about using iPS cells to treat cosmetic conditions. That having been said, I also think that there are a handful of researchers investigating iPS specifically to treat hair loss. I think Shiseido is investing it and I also think Alexey Terskikh is. And these are just the two research groups that have publicly indicated they have an ongoing iPS effort to treat hair loss. I would imaging that a few other researchers have given it some thought. But I do agree that the current crop of researchers are stuck in the past. After all, I myself recently posted that Shiseido is probably laying low with its’ RCH - 01 results because they had bad results since their method is too similar to the failed efforts by Intercytex and Aderans. My point was that Shiseido shouldn’t have gambled on a treatment with the same flaws that the failed Aderans and Intercytex treatments had. But one group of Shiseido researchers gleefully plowed forward with their 1-cell/low inductivity treatment and they expected better results than Aderans and Intercytex got. Okie Dokie. At least half of the regular-Joe posters at hair websites understand that you have to do a work-around the inductivity issue but one group of scientists at Shiseido just can’t seem to get it through their thick skulls. Thank God, that some other Shiseido researchers get it that iPS cells could be the way forward. One of the big reasons that it is taking so long is the fact that it is a cosmetic issue. If this had any life threatening effects then more money from government would be pours in. And because it doesn’t have a life threatening issue it is left mainly to the private sector. How long will private investors wait for a return? Imagine the internet in this position. Waiting on a R,O,I, We still probably wouldn’t have the internet. My 2 cents. I can’t think of any hair loss research that is funded by the state. But tooth diseases are also not live threatening. Yet there are state funded research programs. There is a very good chance I will not see a cure or truly effective hair loss treatment in my lifetime. There is no research out there that looks promising. In the last 20-30 years all we have is Finasteride and Minoxidil, I am willing to bet it will be at least 30 years before we see something effective for hair loss, if we are lucky. Unfortunately I have to agree. Today’s exotic treatments which are experimental are producing results that fall way short of expectations which compels me to think there’s no snowball chance in hell we’ll see anything promising in the next 10 years. Seriously I can see us all online discussing this same topic in the next decade complaining of the same thing wasting time beating a dead horse pretending that our pipe dreams are turning into reality. It’s a useless edge of a seat feeling. There are just as many people out there with hair loss as there are with diabetes, we see a new diabetic treatment on the market almost every year and yet no new treatment for hair loss in 2 decades !!! I even have read recently that some cancer cure is in the pipeline. Yet to regrow a single terminal hair is a bit of a challenge, a bit of a miracle. The reason why I refer to this diabetes cure is to show how badly hair loss researchers are being outperformed by their colleagues. And those involved in diabetes possible cure – surely they did not spend two decades researching??? I don’t blame P.Kemp, K. Waschenick or G. Cotsarelis. They gave their best shot. But they just were not good enough. I think cure for hair loss already exists. But not on P.Kemp’s, G.Cotsarelis’s, Histogen or another american – let’s get quick rich - scheme table. I say this. If they are as useless as they are, why not to do what chinese do – that is to copy. And damn they copy well. They did not have a clue about smart phone but today Huawei perhaps is better than iPhone. Just bloody copy your colleagues work if you are so helpless. But they won’t. Because they are stuck in the past ( thank god all researchers old and new do not chase DHT debunked theory). In this case we would be really in trouble. Thats what I said before.